Both the aft cabins and the forward cabins are transformable into single cabins by easily removable longitudinal bulkhead, storage for bulkhead under berth. The forward cabin is currently one large cabin using this option. Tanto los camarotes de popa y las cabañas hacia adelante son transformables en camarotes individuales por mamparo longitudinal fácilmente extraíble, almacenamiento para mamparo bajo la litera. La cabina delantera es actualmente una amplia cabina utilizando esta opción. A well maintained example of this sought after yacht, which has had the same owner from new. She comes very well equipped with a comprehensive set of electronics and safety equipment, bow thruster and complimented with teak decks. Below decks she is very light and airy with plenty of space which comfortably sleeps 8 in 4 cabins. Both the aft cabins and the forward cabins are transformable into single cabins by easily removable longitudinal bulkhead, storage for bulkhead under berth. The forward cabin is currently one large cabin using this option. Spanish flagged, These boat details are subject to contract. 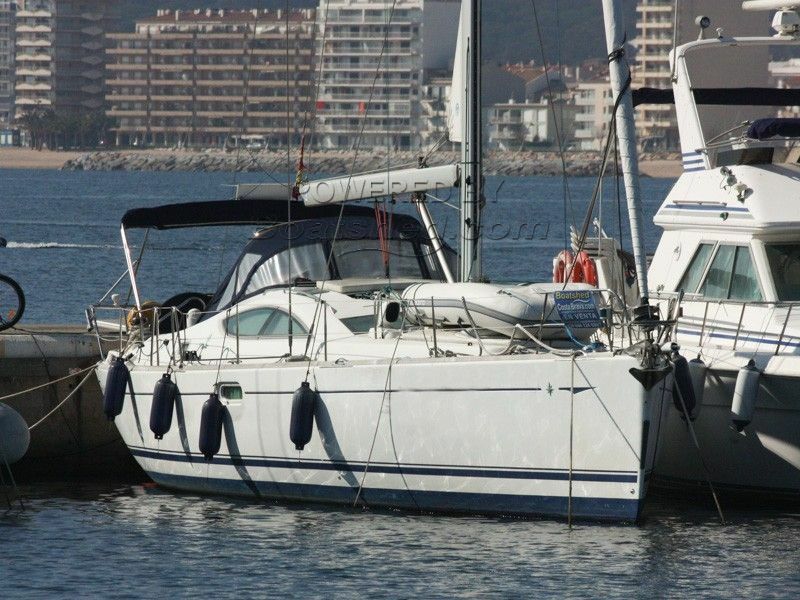 This Jeanneau Sun Odyssey 49 DS has been personally photographed and viewed by Paul & Steve of Boatshed Costa Brava. Click here for contact details.